The 3 pillars of vibrant community development are 1) identity; 2) sustainability; 3) mobility. Identity represents a community’s historic and present character. When we think of Chinatown we know we are getting quality restaurants and an experience of Chinese culture. Bronzeville is sitting on a gold mine; it's rich history and famous past residents. Musician Louis Armstrong performed at clubs like the Savoy Ballroom and the Royal Gardens and lived on 44th Street. This initiative is a creative placemaking campaign that uses large photo murals to create a backdrop where the community’s commercial and cultural activities can take place, that act as a magnet for tourism, a catalyst for healthy outdoor activities like biking and walking. When you attend a museum exhibit you are encouraged to “exit through the gift shop” and leave some of your money behind. The idea is to transform Bronzeville into an outdoor museum that attracts visitors and make its commercial corridors the gift shop. I recently moved to Bronzeville and love the area and it's rich history. Thank you all for your early support and vision. We have come a long way in a short time. The latest news of course is that the Kroger Corporation joined the campaign and we did the placemaking for the new Bronzeville Marianos grocery store. Check out the "Legends" fence on King Drive between 38th and 39th streets and the "Sunday Morning" wall on 39th between King Dr. and Rhodes. I am a Bronzeville resident and life-long Chicagoan and love the idea of bringing the history of African Americans and Bronzeville to the forefront. This is exciting and I look forward to learning what is in store for Bronzeville. This is extremely important to my neighborhood because it reminds of the importance of unified and individual voices coming out of the Bronzeville neighborhood that have created change in local and American culture. I have been so impressed with how much viewing this public project has meant to my 16 and 11 year old child. Thanks for starting it and thanks for believing that the buildings in Bronzeville shines as brightly and the past and people that live there. There is no place in the world like Bronzeville. World wide explosion of Gospel, Blues, and Jazz happened right here. It provides another area where the culture of African Americans can be highlighted and to make this area a community. Knowing your culture is key! Because Chicago has a very rich African American story and unfortunately it hasn't been showcased. Our history must be told as well as displayed throughout all of the city of Chicago and Illinois. Promoting and sustaining cultural identity and pride in our history while being inclusive of all people. Having visited Ghana a great many times, I draw inspiration from the Adinkra symbol, Sankofa, in reference to the rich cultural heritage in Bronzeville. Sankofa symbolizes one taking from the past what is good and bringing it into the present in order to make positive progress through knowledge. The Bronzeville Legends project speaks to that encouraging us to learn from the past in order to correct any mistakes that may affect our future. Oakland homeowner of 13 yrs. Let's preserve the history of Bronzeville! I grew up in this area and am now a homeowner with a vested interest in the holistic development of my community. I support all positive efforts to improve the quality of life in Bronzeville. We! have to stop others from controlling our communities, our history/heritage & our culture. It is imperative we take pride in our African American heritage & teach our youth to do the same. The neighborhood needs to be aware of and rediscover its forgotten historical heritage which will instill PRIDE! This neighborhood has been home for me and my family for the past 15 years. My great great-uncle helped define this neighborhood and I want to continue his legacy. 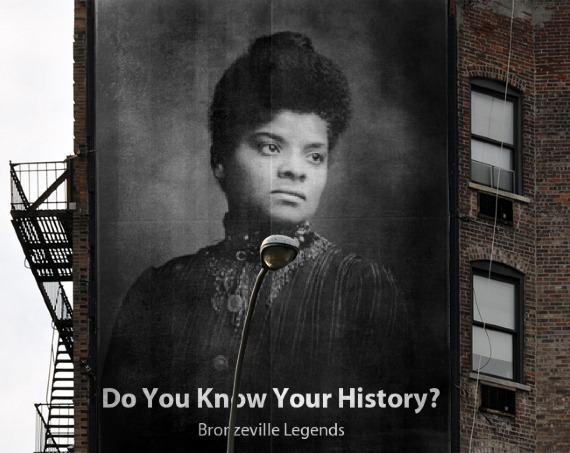 Bronzenville has a history of rich black culture that should not ever be forgotten. The story of bronzeville should be told. I think this is a great way to tell it. Because I understand that a community's strong and healthy sense of identity plays into it's ability to develop it's youth into adults with a sense of self that allows them to move into leadership roles that sustain the neighborhood instead of falling through the cracks and becoming a blight on the neighborhood. community identification is synonymous with empowerment and self respect, culture, legacy. you have a point of reference to appreciate what you're about. I am a lifelong Chatham resident. My family first migrated to Bronzeville. I am also an architectural historian. The genius of all the innovations that began in Bronzeville should be celebrated, not lost. I grew up in Bronzeville and got my cultural, civic, and political groundings from the environment that was present there. Our neighbor has an image problem, this will help refresh the face of Bronzeville and get people to understand the cultural and historical significance of our neighborhood. It's KEY to our POSTERITY!!! I grew up in Bronzeville (3550 South Rhodes) and still have family and friends there. This is where I grew up ! I include the History of Bronzeville in the story of Chicago, and the amazing accomplishments of African Americans as I teach my two children and as I mentor Youth. The dignity and pure bronze-ness of Bronzeville must be preserved for the sake of Future Generations of Young Black Youth. The Bronzeville neighborhood is a historical landmark that must be preserved. I want to help and support Chris in his efforts to increase appreciation of the Bronzeville community. I want to help and support Chris in his efforts to shape my community into an inclusive place where our residents, businesses, and friends participate in economic, social, educational, spiritual and civic activities and recreation. The GREAT EDUCATION of the GREAT HISTORY of the Bronzeville Communities then and now. I grew up in Bronzeville and I am a designer who strongly believes that the strengthening the arts and culture of a place is a key formula to sustaining a place to call home. Bronzeville, is one of the most architecturally beautiful communities in the city of Chicago! It must be preserved for the future. We come from a place worth remembering. If we don't value our heritage nobody will. The Bronzeville area is primal in its importance to African-Americans in Chicago. These images will solidify our neighborhood's history and make it a global travel destination. I grew up in the original Bronzeville neighborhood, and live through some of its historical values and lifestyle experiences. No loss is greater to a culture than the loss of its history. 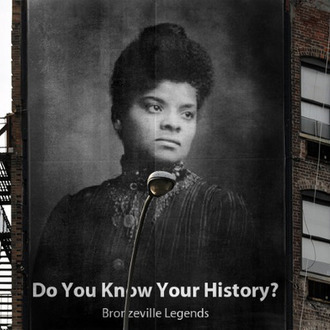 Bronzeville has a supremely rich history that deserves to be promoted and celebrated. preserved for our children's children. My family has 5 generations of history in Bronzeville. A place where Blacks were thriving as entrepreneurs. The Black Metropolis must be revived again. Preserving the past and present renaissance of Bronzeville is essential to cultivating the good soil that this community inhabits. to make this area a community. It provides another area where the culture of African Americans can be highlighted. As a former resident and community activist of Bronzeville, I feel it's identity is key to its prosperity. Bronzeville is a treasure to be explored. Without an identity a neighborhood, like a people, will certainly fade away. provides an authentic historical and cultural context from the Great Migration experience to Chicago, from an urban preservationist perspective. it is important for the Bronzeville community to be branded so that residents and visitors in the area understand the historical significance of this community.